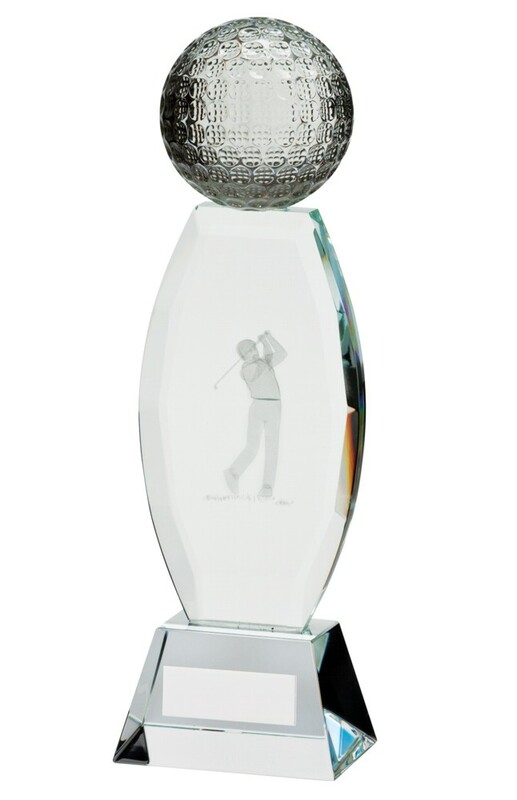 Crystal Optical Golf Ball Tower Infinity Trophy. Available in 2 sizes, 190mm and 230mm high. 3D crystal golf figure and golf ball.